Driving through the city of Cape Canaveral on Friday morning, en route to a rocket launch, I noticed yet more anticrepuscular rays, this time to the west opposite the sunrise. 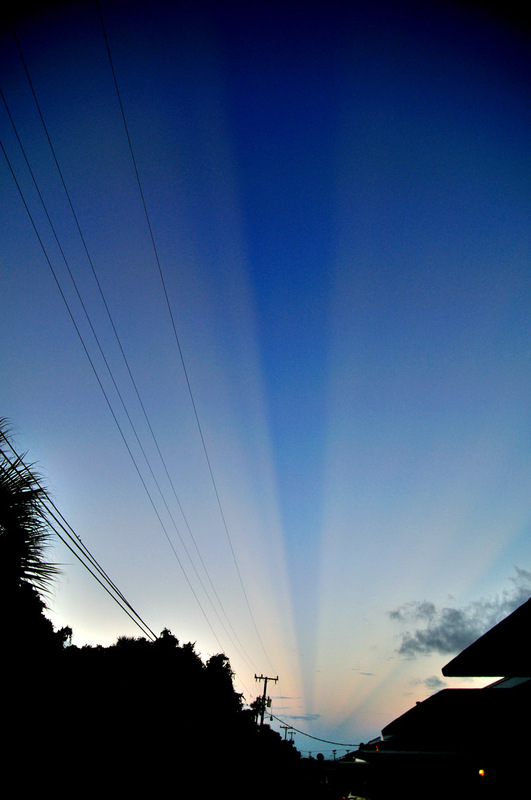 Again, large clouds were obstructing the sun to the east, creating these streaks that stretched across the sky. Though I realize now that their occurrence isn't that rare, I still think they're pretty cool, and I'm still trying to shoot them at a better location than a parking lot. I've seen them four times, and every shot of them includes power lines and pavement.